The global community has an ambitious plan to end poverty and hunger, ensure a decent education for every child, and protect the planet. Achieving these targets by 2030, as enshrined in the United Nations’ Sustainable Development Goals (SDGs), will require unprecedented partnerships between governments, the private sector, civil society and the media. The SDG Collaborative, created by Eco-Business in 2017, is the first-of-its-kind community of sustainability-focused professionals in Singapore and the Asia Pacific region. The SDG Co is a co-working space and platform that not only provides physical spaces that fuel creativity and encourage collaboration, but also offers training, events and media exposure to help businesses innovate and scale new solutions to meet development challenges. All organisations that join The SDG Co will be acknowledged as partners of the initiative and gain unparalleled access to Asia Pacific's largest sustainability community. At The SDG Co, you will be at the heart of the region's sustainability, technology and media community, and you will gain access to networking opportunities, exclusive events, and training on sustainability- and media-related topics. Tap into Eco-Business’s unrivalled content development and media expertise on sustainable development issues, and forge new partnerships with our wide network of multilateral institutions, governments, companies, and NGOs worldwide. Thanks to these and other value-added services such as IT, finance, operations, and back office support, you’re sure to find everything you need to fully focus your time and attention on the important work of achieving the SDGs. The media has a crucial role to play in communicating, educating and advocating sustainability issues in the global press. This is why we are the content hub for sustainability conversations across Asia Pacific. Each of the SDGs has specific targets to be achieved over the next 15 years. With our expertise in issues ranging from climate change to green finance and clean technology, Eco-Business will produce content that dives deep into each of the goals and targets, identifying the gaps that are preventing meaningful progress and sharing solutions that governments, businesses, and NGOs can develop together. We are always on the lookout for partners, so please get in touch! The SDG Co has partnered with thebridge by Ascendas-Singbridge. We are located at Ascent at Science Park, a three-minute walk from Kent Ridge MRT Station (view on Google Maps). Owned by Ascendas-Singbridge, the 7-storey Ascent is an integrated development featuring business park space, retail, as well as food and beverage outlets. It was awarded a Green Mark Platinum Award, the highest honour for a green building, by Singapore's Building Construction Authority. 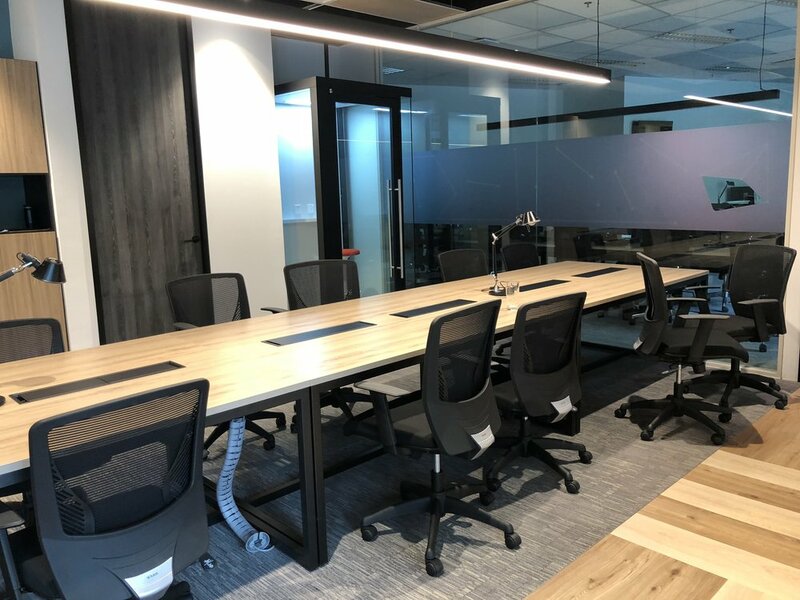 At The SDG Co, work in close proximity to key research and tertiary institutions, research and development, high-tech innovation and startup communities for as little as S$400 a month. Sign up today. 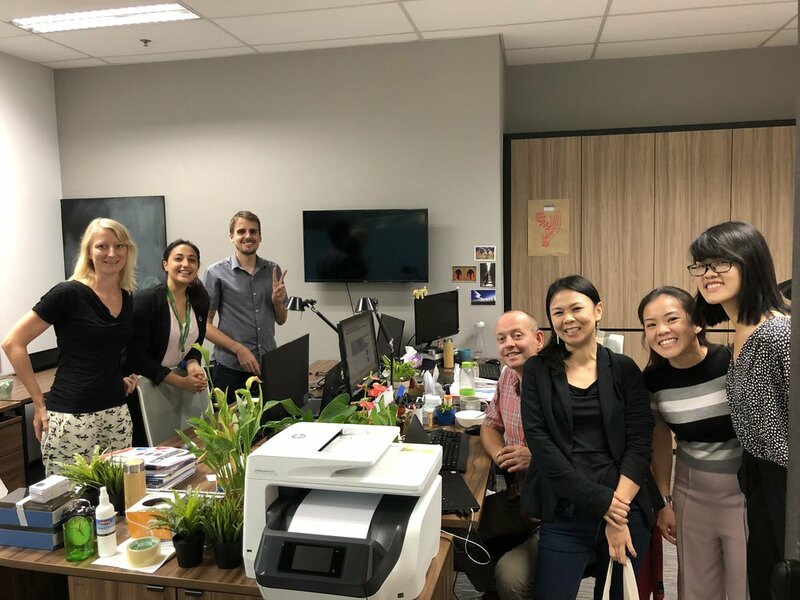 Established in 2009 in Singapore, Eco-Business is the leading digital media company serving the sustainable development community in Asia Pacific. Our team is helmed by a group of senior experienced journalists and media veterans, and our clients include government agencies, multilateral institutions, as well as multinational corporations and small and medium-sized enterprises across the globe. We are headquartered in Singapore and have a presence in Malaysia, Philippines, and Hong Kong. Eco-Business owns and operates the award-winning platform www.eco-business.com – Asia Pacific’s leading website for sustainable development and responsible business. We offer a suite of content and marketing-related services and products, consulting services, market research, bespoke events and video production. Contact us at partners@eco-business.com for more information. The SDG Co is an initiative by Eco-Business.